I have to admit as you described the authentic dish, my eyes got bigger and bigger and then I giggled when you mentioned brains!! I looked at the topping of your dish and I thought whoa!! (But to my relief, it's mayo!! :) I could never ever eat brains, I tried as a child in Tuguegarao but just like balut, I simply don't have the gastronomic sophistication or exoticism to partake in such delicacies of our beloved PI. Anyway Ading, I was sooooo RELIEVED to read on that you used "everyday" subs to make your dish which frankly sounds DIVINE!! Now, when no one is looking, I will try your dish. Remember, my family members here don't eat beef or pork..which will make my dinakdakan a thrilling dish hehe..Love ya!!! Shhh... dati kinakain ko din yun for breakfast pa and naka estrellado hahah. But yeah hubs will never ever touch anything like that so with other parts. I hope you will have the time to sneak those contravandang vavoy haha. Thank you for posting Miss Malou. These dishes are always in our dining table too. From my Lola then later on my Mama. Truly Ilocano staples. More power on your blogging. You always take me home. I was surprised that you commented and I think you used my profile? haha but at least now you know how to comment and thank you for doing so. I hope you could cook and re create dishes that you grew up with where you are. I've been a follower of your blog for almost two years. I love the insightful essays that your share and the wonderful recipes that you develop. It's modern and fresh take on food and life. I cannot help but comment about this post. 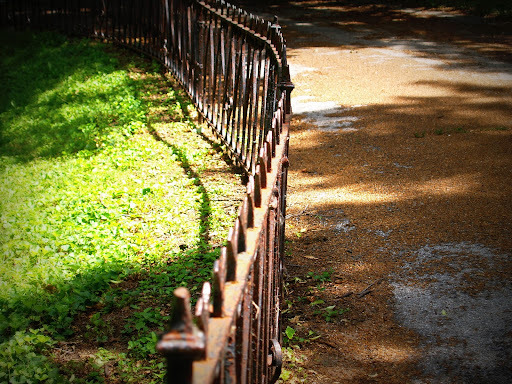 It's true that we always think that the grass is greener on the other side. A few months ago, we had a reunion and exchanging stories with my former classmates and friends made me realize that everyone in the group wished we lived the lives of our friends. We wish we live in a paradise and not our own. You are right that we should paradigm shirt and say that "I have a life worth living"
I got carried away Malou but thank you for being there, who writes regularly, shares her life for us to get inspired. I feel you are a friend on the net I could count on. Please don't tire yourself from posting. Thank you so much for the wonderful comment. The heart, and spirit of Skip to Malou is from readers like you. I get my inspiration to continue doing what I do from the kind words that you have written... you don't know how much you've lifted my spirit and warmed my heart Mayette. Malou-I loved reading your amazing post...such a great comparison, and so true how we think that "the grass is greener on the other side." We never really know how other people really live their lives unless the live in "glass houses"...and we all need our space, and privacy, so this way we may get the impression that all is "well" and get surprised when something happens out of the "ordinary." At any case, your pork dish is amazing, tasty, and creative! I thought I was just "over thinking" when I saw the picture but I'm glad you share the same views as I do. Yes the pork dish is tasty.. very tasty, I guess it's just an acquired taste. Thanks and Happy Mother's day to you! Definitely tasty looking - I love how crispy that pork looks. So if I can't find Bagoong Balayan would you recommend using regular bagoong or patis or a combo? Yes you may, but If you use the shrimp bagoong (the pink one)it doesn't give the exact same flavor profile as the Ilocano version. Maybe what I coould suggest is to add left-over fish to the veggie dish to add the "fish" flavor. Dried shrimp could be added too. I hope this helps. Let me know, i'm excited! Thank you! I just love your blog. Yes, the grass is always greener on the other side. But upon close inspection, it's been spray painted green! thanks ann... i'm so thrilled! you cracked me up tho haha. happy weekend to ya! Hi Malou,this is such a wise, insightful piece and the two recipes with it are an even bigger bonus. Thanks for sharing your thoughts. You are right. We should appreciate what we have this moment. And your dishes are so good! I remember the dinengdeng from growing up in Tarlac and it sure brought back memories. Thanks for participating in the May KCC event & sharing your family recipes! thank you for being so gracious and having a KCC spirit to come over and drop a comment. I wasn't so sure if the post fits but your comment confirms it haha. Thank you! 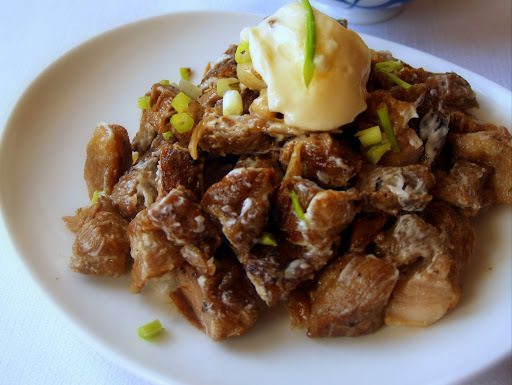 Thank God for pork belly coz pig's ear and brain would be a challenge to make and eat. :) Your take on a very traditional dish looks mouthwatering. thanks Jenn for coming over.. yay for Kulinarya spirit that brought you here! 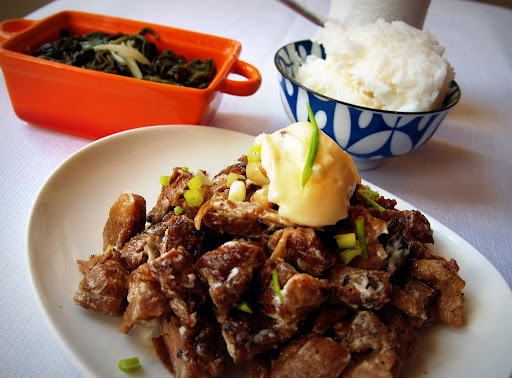 My dad is Ilocano but I wonder why he never cook this particular dish to us. I won't be saying no to pig brains that's for sure haha! But I would definitely try your version with pork belly... thanks for sharing! Such a yummy dish.... I prefer the brain, though..LOL! you are a brave soul hahah. i have yet to try it but nah maybe not haha! 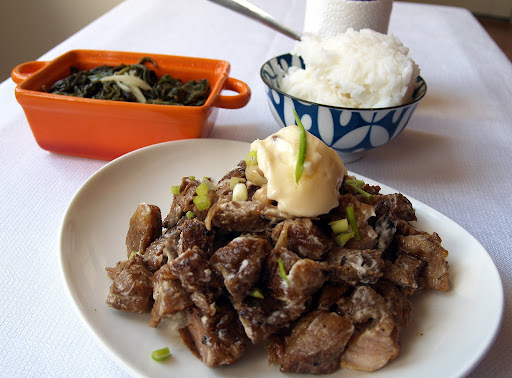 dinakdakan is like sisig but sisig is a lot more popular than dinakdakan. 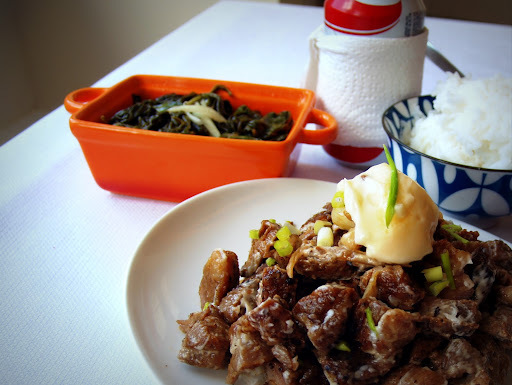 you see our cuisine is like filipino food here in the US... it's not in the mainstream :( yeah sadly! Grass is greener on the other side of the fence because they waste money on water and I prefer to have a greener bank account. Grass maybe greener on the other side of the fence but I have beautiful red roses on my side. Grass maybe greener on the other side of the fence but brown is my favorite color. You see, green is not always better. Have a nice Friday, Malou! 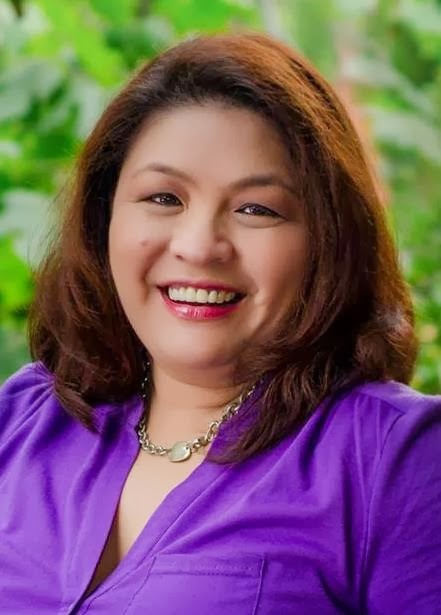 Ms. Malou, I'm one of your thousand fans, I am really learning so much of your recipes, thank you so much for sharing ! God bless you more !